With Pearl Farm Beach resort's famous Parola already reaching iconic status identified with Davao City, a recent visit by Tutubi to the peaceful and most liveable city of Mindanao, his third actually, was accentuated by an unplanned side trip and day tour of Pearl Farm Beach Resort actually located on the Island Garden City of Samal. Tutubi initially intended to visit Davao Ethnic Museum during the last day of his 2D/1N Davao trip but his companions insisted to do a day tour of the former pearl farm turned resort to which he obliged even if he did not want to at first. on the wharf of Pearl Farm resort, popularly called Parola, with the houses on stilts on the background. 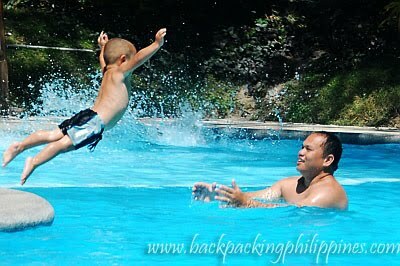 an enviable father and son enjoying the beach with the two-year old boy diving to his father's waiting arms on one of Pearl Farm's swimming pools. service was nice, staff courteous, complimentary use of lockers, beach towels nad boat trips to Malipano Island but no free use of snorkeling gears and at laest trips to snorkeling sites or dive spots. beach: the only recommended white sand beach is the one near Parola wharf, not the one near Mandaya houses, and those two beaches on Malipano Island. 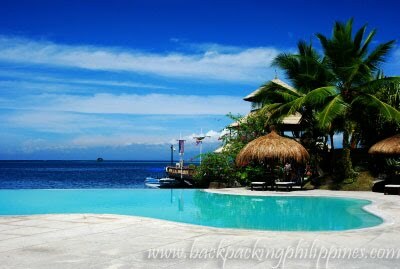 Swimming pools: as mentioned and posted on pictures above, the infinity pool and swimming pool (near Mandaya Houses). Note that shower rooms for day tourists are available only near the Mandaya houses and really limited. You may get in long queue just to change if you're not checked in. Price: Resort room rates for overnight accommodations are not for budget travelers like Tutubi. The mentioned day trip price of PhP1500.00 also comes with the round-trip boat transfers from Davao City wharf marina to Pearl Farm Resort. 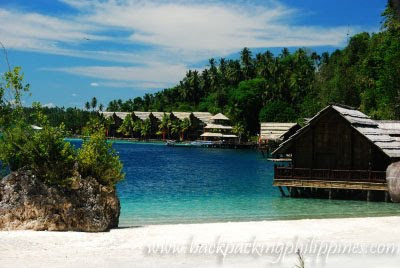 There's no such thing as cheap package tours to Pearl Farm Beach Resort even if you just intend to stay there 2D/1N or 3D/2N. Souvenir items are available at Butik (boutique) where you can buy souvenir t-shirts at PhP280.00 each, flip-flops (havaianas at PhP800.00 and el cheapo beach sandals at PhP80.00) and other usual items. Overnight Accommodations: the cheapest rates are available at the Hilltop houses, quite a trek or a ride on electric golf carts. Tutubi wasn't able to see the interiors but from the outside the place needs upgrading. The best rooms are on Malipano Island. Probably the most cost-effective room are the houses on stilts. 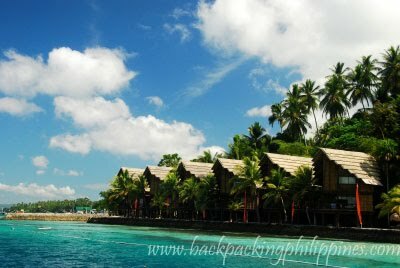 Pearl Farm Beach Resort Dday Tour Rate: PhP1,500.00/person (yeah, cheaper that the day tour rate of Dos Palmas Island Resort posted earlier. Please contact Pearl Farm Beach resort's contact number or make your bookings through authorized travel agents. you can try a walk-in tour or pearl farm but it depends on boat availability. get in touch directly for group tours, resort promos, peak and off-peak rates, massage spa rates et al. 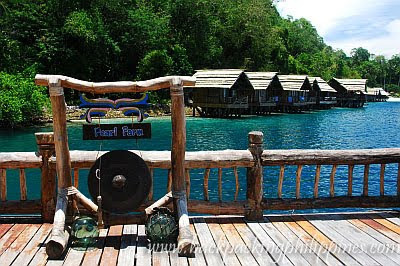 Book your day tour by calling their hotline then show up at the Pearl Farm Marina, just 15 minutes travel time from Davao International Airport via taxi then another 45 minutes boat ride to the resort on Samal Island. This is another awesome place where you can refresh and relax and amazed with beautiful spots around the island and inside the sea water. I love the photo with the boy jumping toward his father. Really nice. All these photos are taken in Davao? Ganda ng kuha! day tour rate is already 2,500, who is your contact for the 1,500 only? pls let me know coz we will going to visit davao this coming july 14. tanx. hi! i just want to know where to book the pearl farm day tour? the day tour rates are not available in their site. Thanks! Been searching at Pearl farm website re day tours too but to no avail. kelan yung travel date mo? until now bah 1500php pa din? can we know the rates of the ride ? Tumaas na ang day tour rate ng pearl farm ngayon, i think 2,000+ for peak season, weekends and holidays, and 1800 for weekdays on off peak season. Marami na ring aqua sports sa Pearl Farm ngayon, they have wake boarding facilities, scuba diving, jet ski, banana boat, kayaking, etc. Inquire q lang sana if where we can find more affordable city tours po..or if they have 1 day or 2 days tour lang po..
i've been to pearl farm many many times, for almost 10 years there is no improvement/s, only thing that has improved is the use of electric car compare to before there are using multicab, other than that NO MORE. and the food is TOOO..oo salty, my balikbayan guest even jokingly said maybe the cooked dropped a handful of salt by mistake. no worth my $700 room accommodation.